Looking to sell to an older home buyer? Thoughtful improvements both inside and outside the home could help seal the deal. In the past, retirees have fled south, eschewing the Northeast, Mid-Atlantic, and Midwest in favor of sunnier, more benign climates. 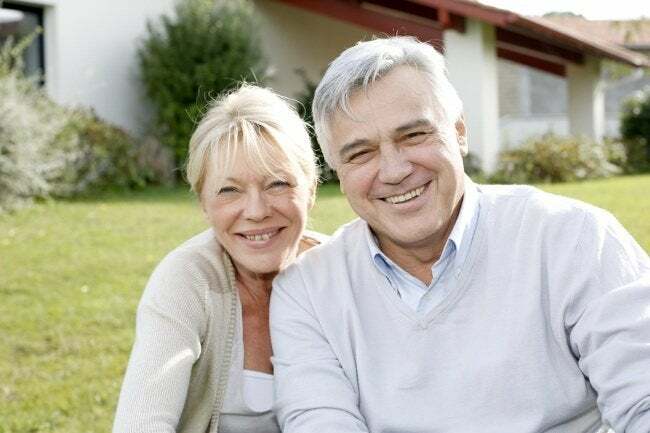 But for older folks today, it’s a different story: Aging baby boomers might be downsizing, but with greater frequency, they are opting not to relocate geographically. What does all this mean for home sellers? Traditional enticements, such as a generously sized backyard, may not be effective in drawing interest. Rather, thoughtful improvements like grab bars and wheelchair ramps might, in fact, do more for the marketability of your real estate listing. • Design counts. No matter how practical the improvement, if it flies in the face of buyers’ style sensibilities, you are not likely to see a return on your well-intentioned investment. Translation: Instead of awkwardly propping a plywood ramp over the stairs on your front porch, take the time (and spend the extra money) to usher in accessibility without alienating those who don’t want or need assistance. • Enlist pros. When building home conveniences to facilitate the day-to-day lives of seniors, don’t ignore the expertise of architects and/or landscape designers, especially if your remodeling work includes the addition of an access ramp. On the one hand, an architect can make sure the project adheres to standard specifications. On the other hand, a landscape designer can minimize the extent to which the curb appeal of your property is impacted as a result. • Bragging rights. One homeowner had an elevator installed—in her ranch house. The lift ensured that her husband could reach the finished basement, often the venue for family get-togethers. The elevator also proved handy in the course of entertaining, as serving platters and dirty dishes could be easily carted between the kitchen and party space. A $20,000 investment, reports the homeowner, the elevator is as much an accessibility measure as it is a lifestyle amenity. • Integrate accessibility. No longer purely practical, accessibility features have taken on aesthetic value, too. Makers of bathroom fixtures and finishes now offer such things as wheelchair-height toilets with sculptural panache, or grab bars that look like classy towel hangers. If you insist on accessible elements in line with the quality of choices made elsewhere in the home, the accessible features will be obvious to those who need them, transparent to those who don’t.